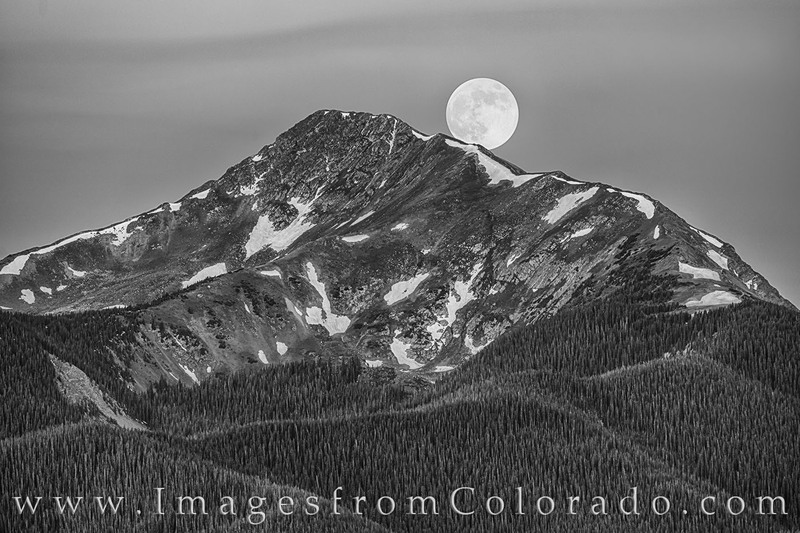 The full moon sets behind Byers Peak in Fraser, Colorado. This black and white photograph shows the iconic landmark of the Fraser Valley (which also makes for a good hike with beautiful views). This image was taken with a 400mm lens to show the peak and the moon closer up. Photo © copyright by Rob Greebon.